Description: Cute Phone Number Extractor is a free all-in-one Phone spider software. 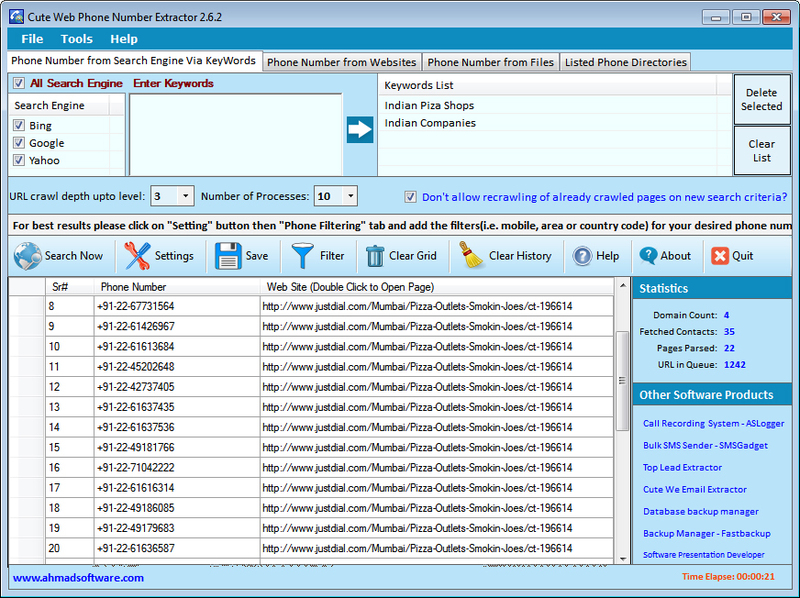 It is a lightweight and powerful utility designed to extract Phone Number from various sources like: local files, websites, search engines, etc. It can automatically search all of the phone numbers from web pages and retrieves absolutely all valid numbers and generates an output file with only good and well formatted numbers without duplicates. 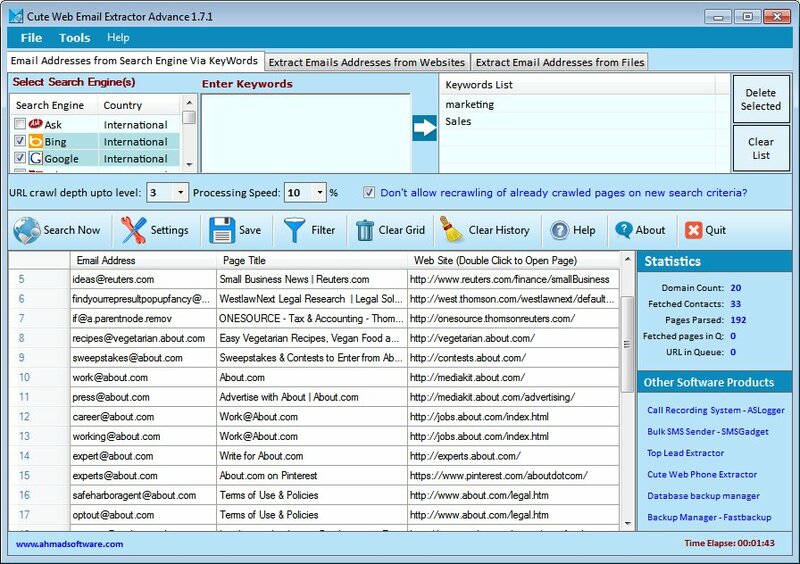 Description: Web Email Extractor is a free all-in-one email spider software. It is a lightweight and powerful utility designed to extract email addresses from various sources like: local files, websites, search engines, etc. It is a great tool for creating your customer contact list using your mailbox data.